We tow our Mini Cooper behind our 42-foot Dutchstar. This guy has four slides, two on each side. 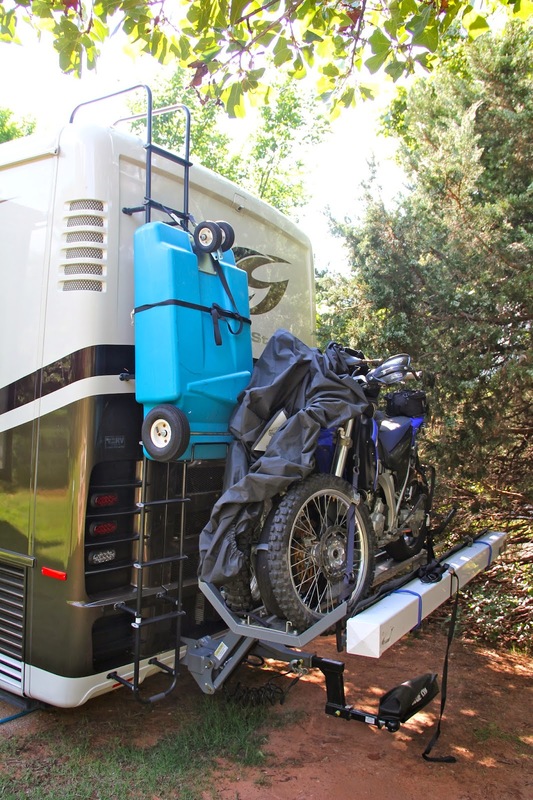 A few of the extras on the motorhome include an extra refrigerator/freezer underneath. It's great for stocking up on the wonderful beer we've sampled across the U.S.
We also have an outdoor TV for cheering on our favorite sports teams. Go Heat! We also have deep storage drawers for all the tools and gear we lug along with us. This is packed the brim now. On the back is the motorcycle lift we added for Spencer's Yamaha. This was one of Spencer's must-haves. Heading into the Dutchstar, you'll find casual and simple decor. We were in the market for something neutral and understated, less flashy than the interior of our Voltage. 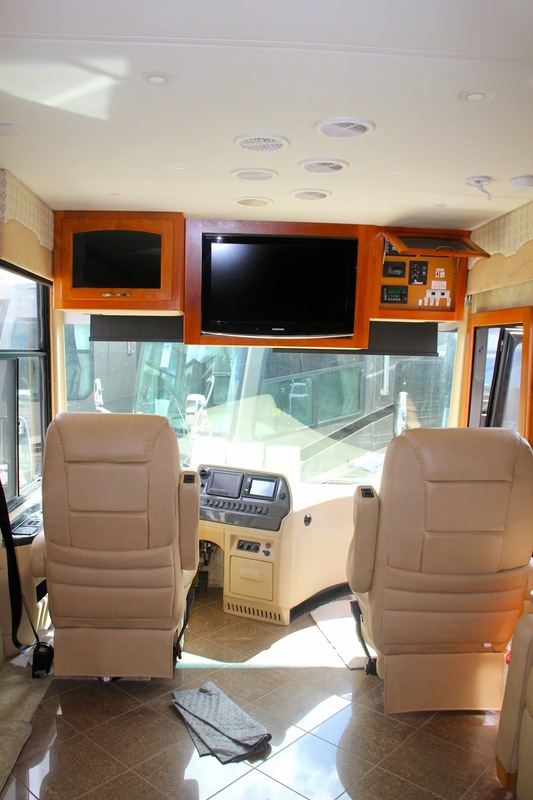 Here's the view of our seats, which swivel around when we're not driving. 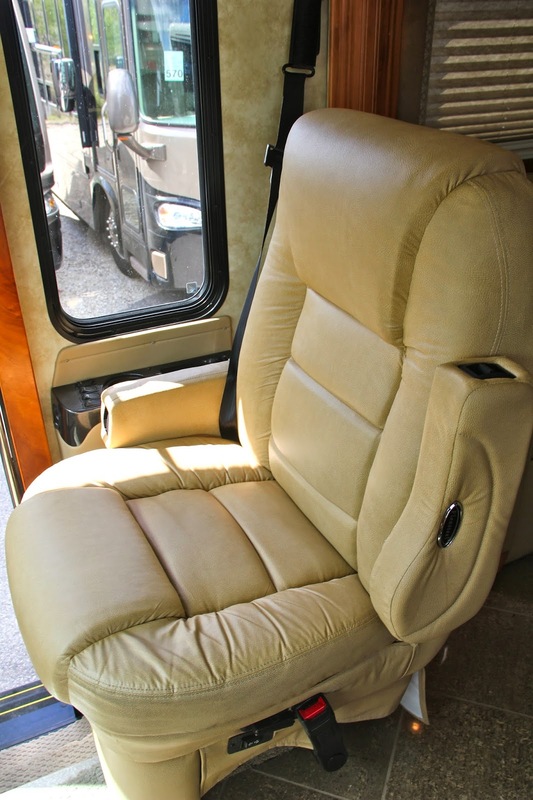 Cruising the open road has never been so plush. 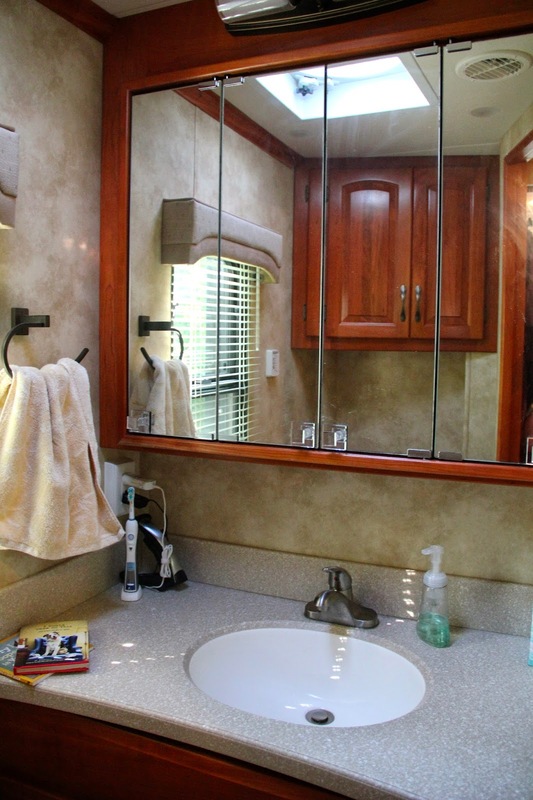 The motorhome is set up with side and backup cameras, which makes parking so easy. The microwave works as a convection oven, too. We also have a two-burner stovetop. Here's another angle of our living room. This couch is a queen-size pull-out. Here's a view of our dining room table, where we eat meals and work on our laptops (not at the same time, generally). We have two extra chairs and a leaf that doubles the size of our table. 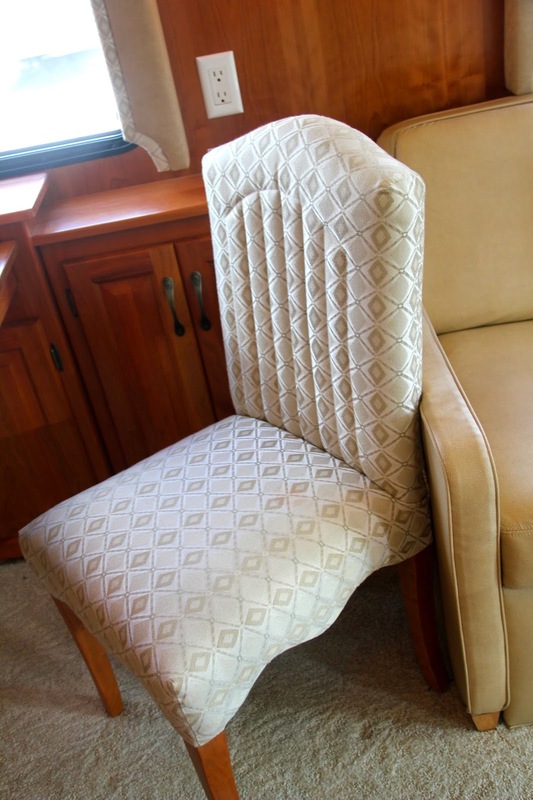 We liked the simple design, which saved us money from reupholstering ugly fabric. Here's another shot of our kitchen, including our double door fridge and freezer. 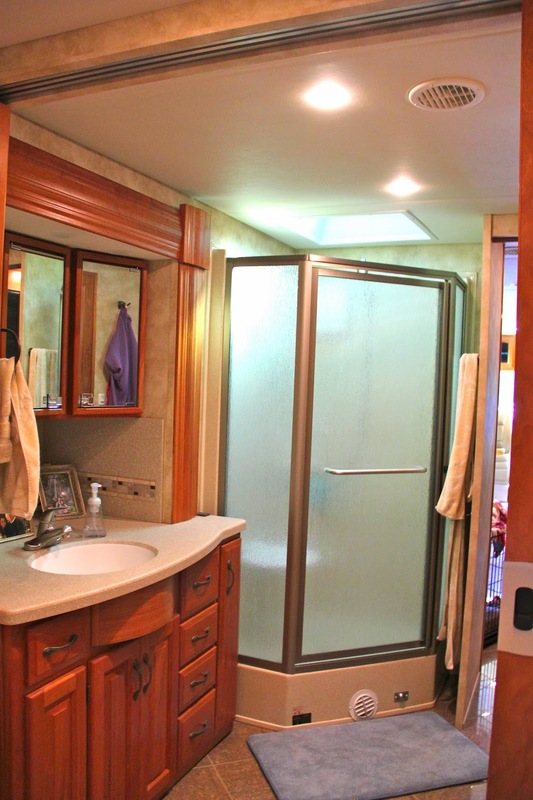 From the kitchen, you head into our bathroom, which has two sinks and plenty of counter space and drawers. 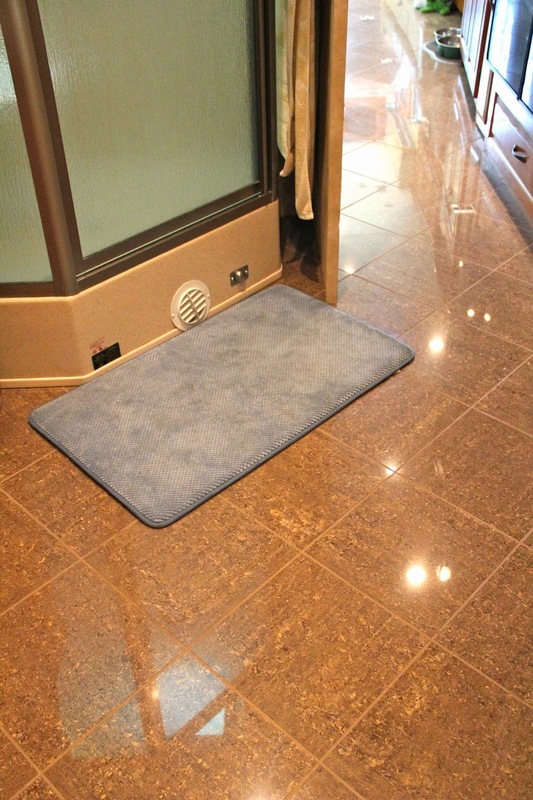 One of our favorite features is the tiled floors. It's so much nicer and easier to clean than carpet! This is behind the other door in the bathroom, with Spencer's sink and the toilet. Past the bathroom is our bedroom, which has a king-size bed -- perfect for snuggling with our puppy! The bed is a sleep-number style so you can adjust your firmness on each side. 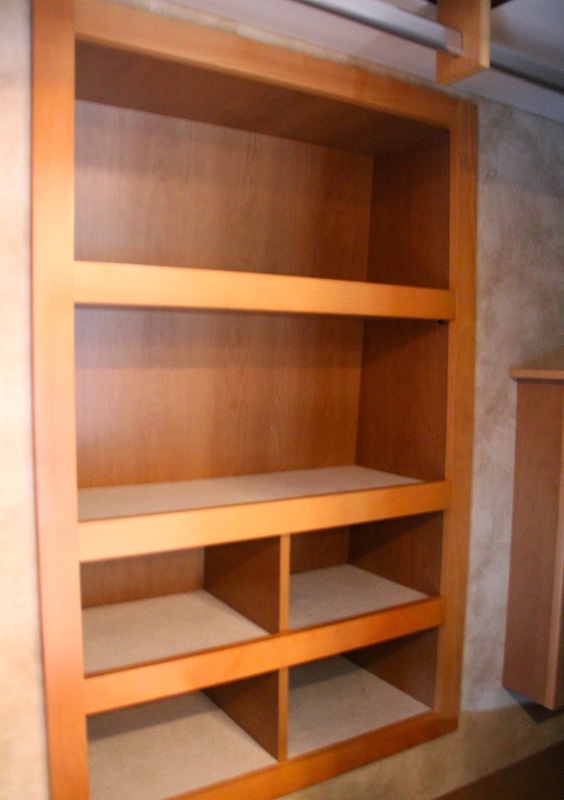 Inside the closet, there are special compartments for shoes (a huge plus for Rachel) and a built-in safe. We also have another TV in the bedroom and two windows to let in natural light. 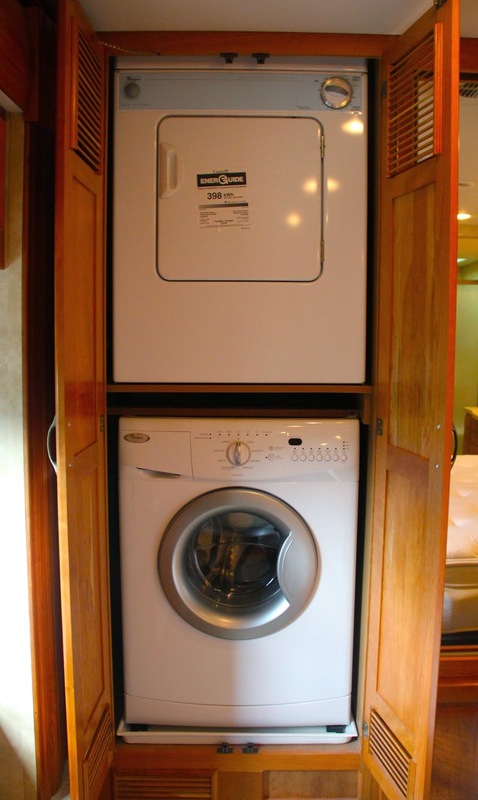 My favorite part of our motorhome is the stackable washer/dryer. 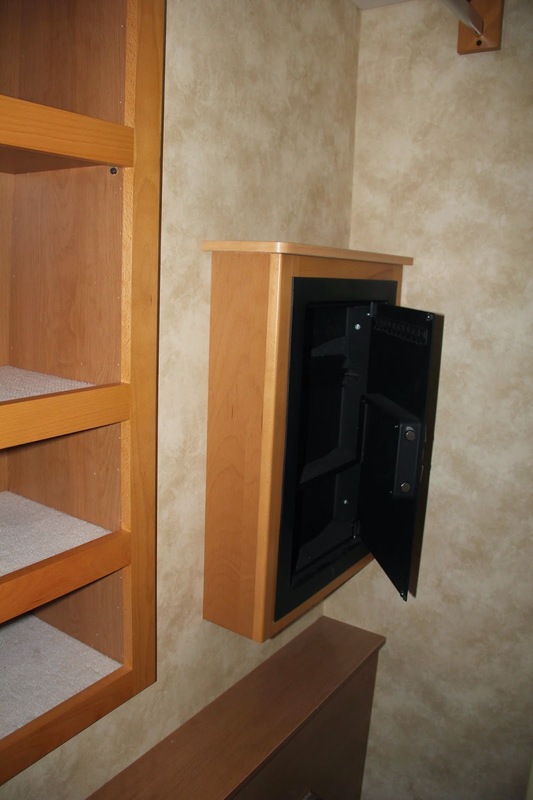 Although it takes up a significant amount of space, it's so nice to avoid the hassle and expense of laundromats. Thanks for checking out our home on the road! Hi Ola! Congrats on the upcoming adventure! How exciting. You can always drop me a line at rachel@whereintheworldrv.com. 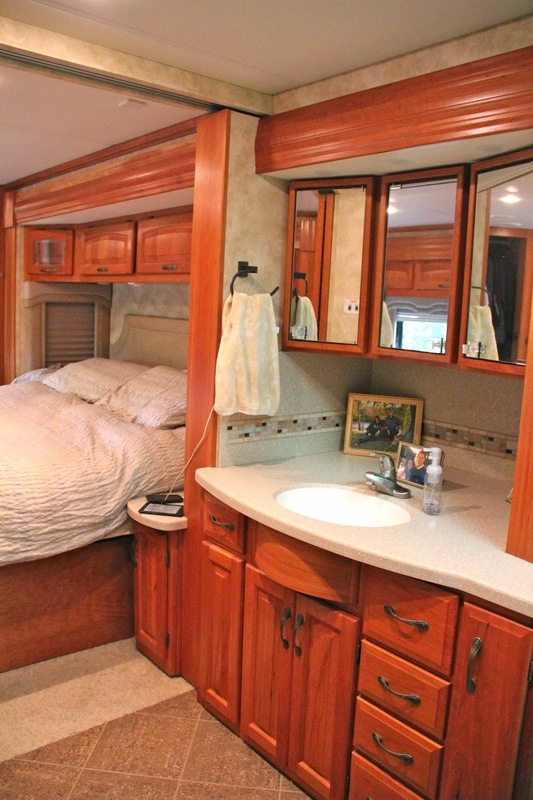 Hello such a stunning camper which i ever had seen and such a elegant bed which is in RV camper to make your RV campers bed beautiful and i suggest you that this rv bedding and rv king sheets is perfect for this.